The summer months are coming round quickly, along with longer daylight hours and a change in your security needs. During summertime, there are a different set of factors that need to be considered to keep your security optimised and your security systems in top working condition. We’ve put together some tips for users of security systems that are tailored specifically to security during the summer. As the sun come out, it’s inevitable that plants and trees are going to grow. Make sure that any foliage growth spurts don’t obstruct your surveillance camera’s line of vision or lens. If it does become an obstruction multiple false alarms can be set off, which can be detrimental to your security. If your remote monitoring centre needs to use the camera to assess suspicious activity they may not be able see clearly. Here at Farsight we make use of adjacent security cameras to identify the cause of alarms. 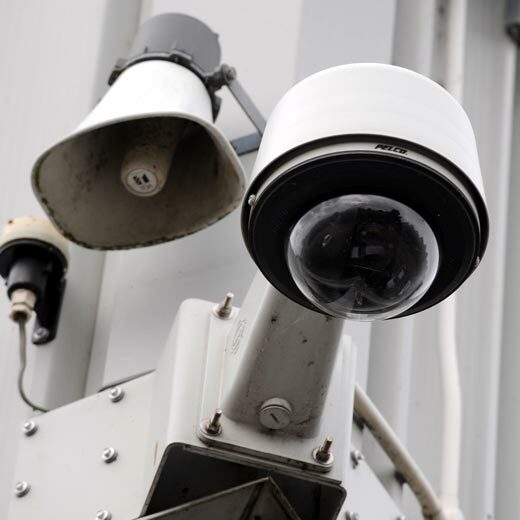 That means it’s essential for all security cameras to be clear of obstructions and foliage – so we can monitor your premises as effectively as possible. Don’t forget there are bank holiday weekends throughout the summer, and you may be taking some summertime annual leave. When a key holder or owner of the premises is away, there are a few steps you must take to ensure your security remains optimsed. For example, check that the contact details your remote monitoring station have are up-to-date. Make sure you’ve read our tips on maintaining your security systems whilst you’re away so that you can have complete peace-of-mind whilst you take a break. It’s easy to become complacent about the most basic security measures when the sun is shining. Always check that open doors or windows are not left unattended. Although your remote monitoring station will be monitoring your site during your specified hours, during the summer theft will increasingly happen during the day time too – when it’s more likely your site is not being monitored. Always make sure that you close all windows and doors at the end of the day. Even though your site is being monitored, it’s best to do a check that any easy-access points are locked and secure, especially if they’ve been opened during the day. It’s easy to assume that with lighter evenings and mornings there would be less opportunity for an intruder to enter your premises during the night. However, that is very rarely a deterrent. Make sure your surveillance cameras are in top working condition and your security systems are protecting your premises, as you need them to. Check our end-user maintenance guide, which takes you through the process of checking your systems and keeping your remote monitoring station up-to-date. These tips will help you to stay secure this summer. It’s important to keep on top of maintaining your security throughout the year, but always remember that seasonal changes will mean a change in security needs too.